.The more items you cross on the list above, the more chances you’ll have to win! Begin in April, 14 and End in April, 30 (2015). A Xmas Treat For the Philippines Fans! Enter to win a SIGNED copy of The Lost Boys and The Lost girl this Christmas 2014! Enter to win the portuguese edition of The Lost Boys, published and translated by Casa das Letras. PASSATEMPOS com LOST BOYS para Portugal! O Blog Efeito dos Livros de Portugal está lançando um passatempo com um livro autografado (edição e tradução Portuguesa da Casa das Letras) para os fãs portugueses! O PASSATEMPO DECORRE ATÉ 10/10/2014. Enter to win a signed copy of The Lost Boys & The Lost Girl at the GirlsLoveToRead Blog! Giveaway starts today September, 15th, 2014 and ends in five days from now! Contest Duration: 05th March to 15th April of 2014. ENTER TO WIN an autographed copy of THE LOST BOYS with a special personal dedication from Lilian Carmine! The most you RT and share, the more chances you have to winning! Giveaway ends January 14th at 11.59 PM (your time). BOOKS À LA MODE blog BOOK GIVEAWAY! Books à la Mode is giving away two print copies of The Lost Boys—woohoo! YA BC blog BOOK GIVEAWAY! 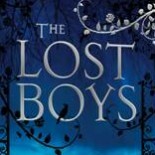 Another opportunity to add to your chances to win a copy of THE LOST BOYS this Christmas! YA BOOKS CENTRAL is giving away 03 copies of THE LOST BOYS! Here’s a Special Christmas Surprise gift for the fans! Enter to win a copy of THE LOST BOYS! Random House is giving away 03 FREE copies on GOOD READS!!! and Random House will mail the book wherever you live! (book in English language*).